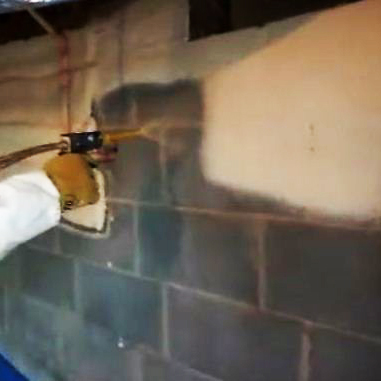 Basement walls are ideal places for cool air and moisture penetration. 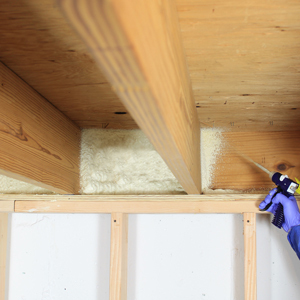 Spray a 1" layer of foam around the perimeter of the wall cavity and then apply a back fill layer of foam at 1" to fully enclose and air seal the space. Like basement walls, crawl space are ideal places for air and moisture penetration. Cool and warm air can permeate through stone or cinder walls. Spray foam sealant at a 1" layer on a cross area of crawl space walls, adding additional 1" layers as necessary. Gaps can be found where rim joists cap the end row of joists. Air flow can occur where gaps exist. Air seal gaps with a 1" layer of 2-component spray foam (1/2" wet spray will expand to 1") in these cavities. 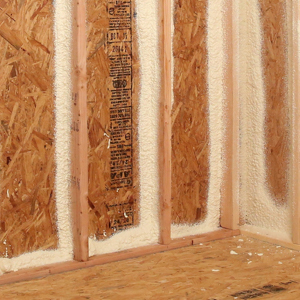 Install fiberglass or wool batting for added insulation. Openings where sill plates and concrete slab foundations meet let in moisture, air and pests. Apply 1" layer of spray foam along sill plate or apply foam sealant along gap between plate/foundation and sill. Slowly fill seam as you continue to move can along seam. Gaps around air ducts, plumbing, electrical and phone/cable services create air gaps that allow air and pest infiltration. 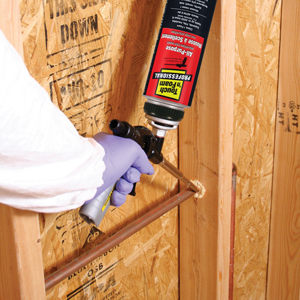 Place foam sealant straw applicator or gun foam barrel into gaps and fill with foam insulation. Fill opening around penetraions, cables, ducts slowly to help block drafts. 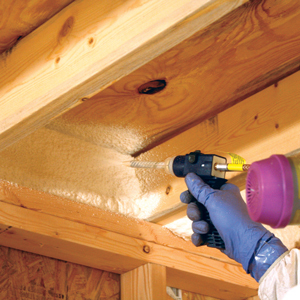 The 2-component polyurethane spray foam kits provide thermal insulating and sound attenuating benefits and are low pressure, permanent and dry within minutes of application.